There’s an old-time method I use for preserving trout. It’s a simple process — coating fresh fillets with coarse salt until the moisture is withdrawn and the flesh stiffens. 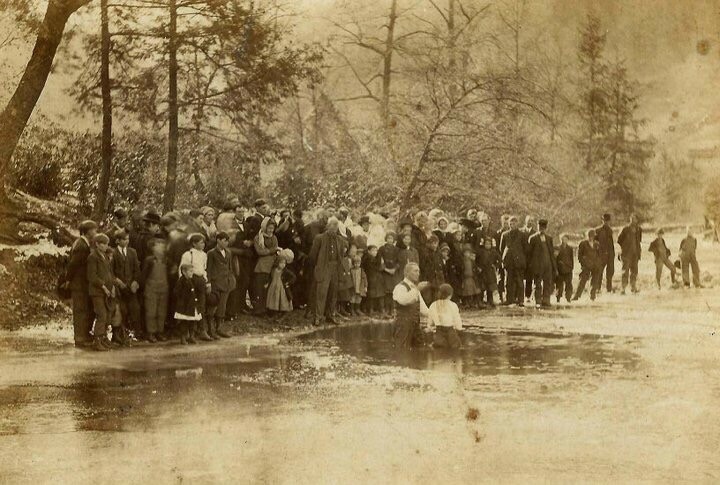 Prior to the 1920s, salting of red-bellied speckled brook trout was a thing of ritual in highland communities. At some point, the tradition slipped away. That didn’t happen because the convenience of electric refrigerators made salt-preservation unnecessary. It happened when reckless logging operations ruined high-elevation streams. To make salt trout a century ago, you’d need access to a healthy supply of catchable fish, and native trout don’t survive in tainted waters. Buried in the story of salt trout is an important lesson — not about ingredients or technique, but about the relationship West Virginians have with land and water. It’s about place-based cultures, unbridled greed and our forebears’ ghostly heartache that deepens each time streams are diminished in the name of extractive riches. When endless clearcuts led to fish kills high in the mountains, more than a protein-rich culinary provision went absent from kitchens and earthen cellars. For people who drew sustenance from those rivers, and those of us who follow in their footsteps, an important piece of their heritage — our heritage — suddenly went missing. I know about these things, how a connection to resources shapes our identity. 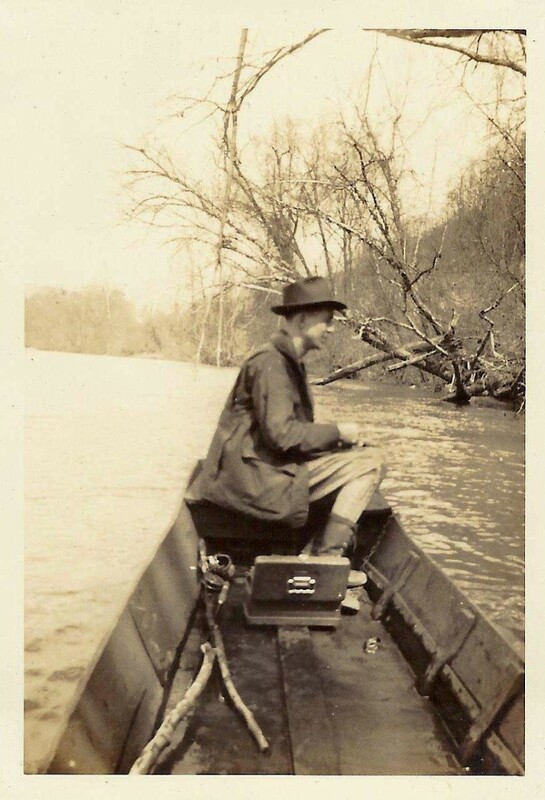 I was born into a long line of Appalachians whose livelihoods depended on waterways. They were river people, you could say. Most of them passed on long before my time, but I’ve seen their striking images in family albums, and I’ve heard their stories. I want to believe the plight of river people — my family and others like them — can inspire us to avoid life-altering disasters that occur when we compromise precious resources for economic gain. It’s why I’m compelled to share the lessons of salt trout and other stories about river people — stories, I feel, are important to remember. I remember what happened to river people four years ago this month. I remember when toxic chemicals spilled from a corroded storage tank near Charleston; when 300,000 West Virginians lost access to potable water; when small businesses in nine counties were forced to close; when residents were told the water was safe to use again … although it actually wasn’t. When I first heard the news of the incident on the afternoon of January 9, 2014 it all felt so familiar. It shouldn’t surprise anyone that chemical spills in a place dubbed “The Chemical Valley” aren’t exactly unheard of. I’d routinely seen coverage of them as a kid, and this was the third since 2009. We’d been here before. Or so it seemed. 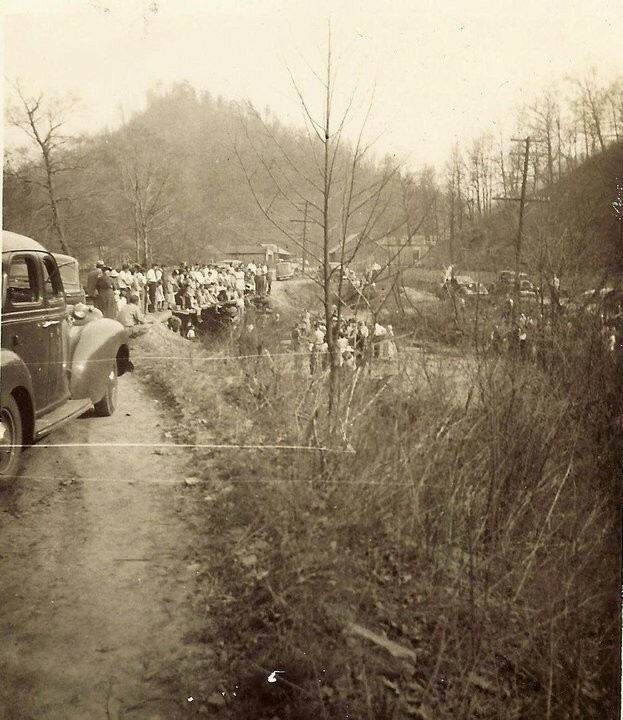 Industrial disasters in the Charleston area typically occur along the Kanawha River, from looming vestiges of a once-prominent industry — aged tanks and chemical manufacturing facilities like the DuPont Chemical plant where both my aunt and my grandfather found work. But this spill occurred on the Elk, just a few miles from where I grew up. This time, it hit home. To say the Elk is a lifeblood of central West Virginia is not an overstatement. Winding over the Central Allegheny Plateau, it’s a river to which my ancestors and I are inextricably linked. I’ve never gotten a tattoo, but I’ve often thought about it — what it would look like and where it would be drawn. I’ve pondered it long enough to know a map depicting the Elk, from start to finish — all 170-some miles — would be fitting. The map I’ve envisioned would be simple and discrete, made up of thin lines beginning near my right shoulder, running up and down the inside of my arm. It would start where pristine headwaters tumble down the mountains of Pocahontas and Webster Counties, where I learned to fly-fish, watched black bears traipse through rocky stream beds and came to appreciate the infinite rewards of nature’s solitude. The sketch would meander over the slope of my bicep to the crevice of my elbow, where, in the relative lowlands of Braxton County, the river passes slowly and quietly, translucent, with a mesmerizing emerald hue. There would be a notch representing the modest house in Sutton where my grandmother was born, then another downriver at Gassaway, the birthplace of my grandfather. 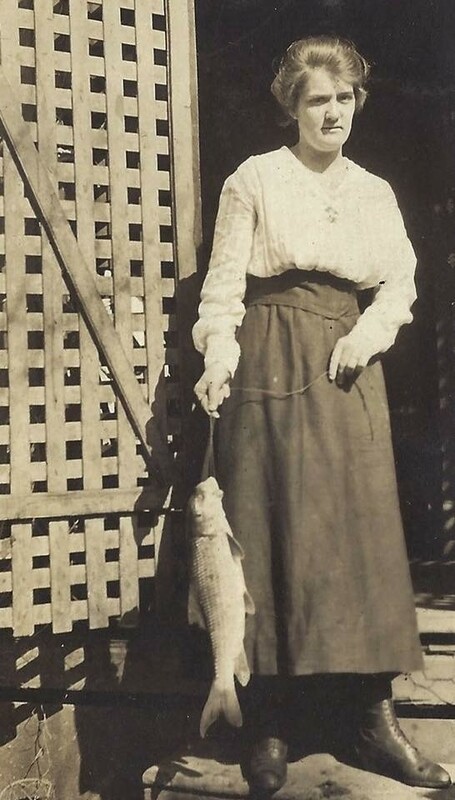 I’d mark the tiny fishing camp in Clay County, where, during her childhood years, my mother’s summertime meals included catfish snagged from metal Jon Boats and legs of bullfrogs gigged from shoreline reeds. Some of the Elk’s tributaries would be drawn, too — Birch River and Middle Run, where my great-great-grandfather baptised faithful souls in frigid waters, or the sycamore-shaded alcoves of Blue Creek and Little Sandy, where my friends and I watched our youthful innocence fade into the nascent trials of adolescence. Back on the mainstem, my lower forearm would show my hometown of Elkview in the stretch between Falling Rock and Mink Shoals, a twelve-or-so-mile segment that includes my former elementary school, middle school and high school, each building situated within yards of the river. Finally, the map would end near my wrist, as the Elk meets the mighty Kanawha, where I came into the world in 1983. Whether or not I’ll ever hire an artist to apply their inked needles to my skin, the Elk will always be imprinted upon me. The river is part of me, and what happens there is part of my story. The qualities I’d expect from a tattoo — pride, pain, permanence — they already exist as products of a complicated relationship with place. 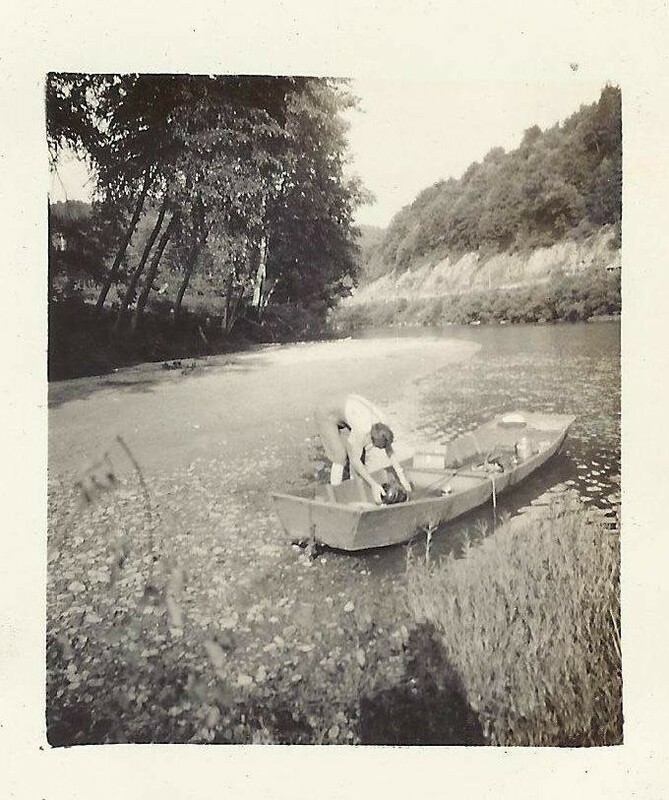 The memories of my upbringing along the river are overwhelmingly fond, but we can’t pick and choose which parts of our place-based legacy we inherit. 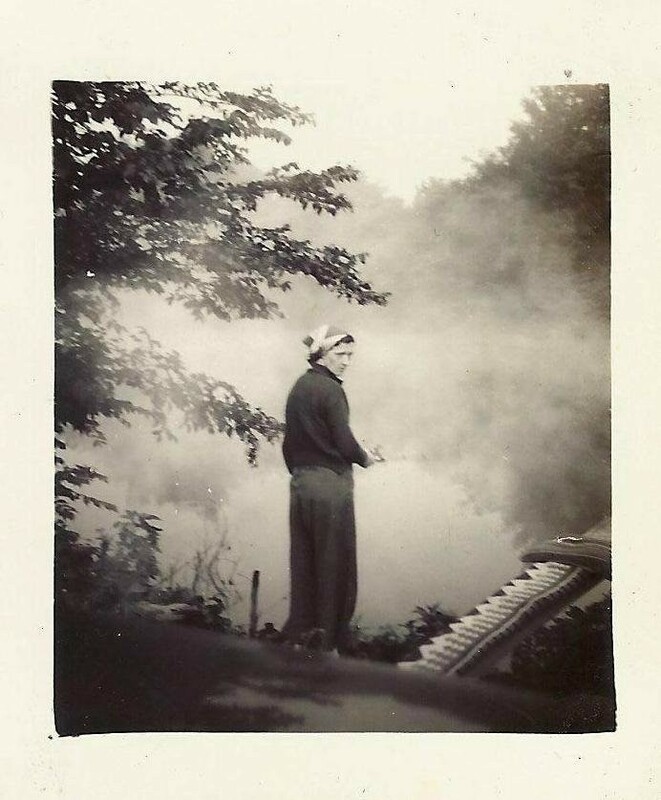 When I think about my grandfather teaching me how to clean and gut a fish, I’m obligated to remember my great-grandfather was a logger no doubt responsible, in some way, for the demise of fragile trout streams. 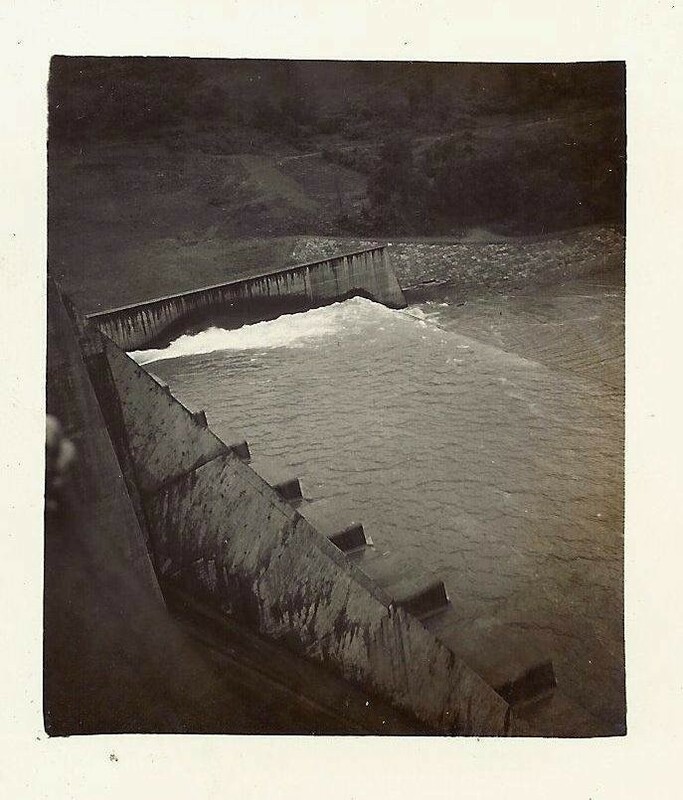 And with every dose of feel-good Elk River nostalgia come acknowledgements to the contrary — families displaced from homesteads to construct Sutton Lake and Dam, recent floods destroying much of my hometown, and, of course, a heavy dose of poison making the Elk River infamous four years ago. Crude 4-methylcyclohexanemethanol, commonly known as MCHM, is the substance that trickled out from a 46,000 gallon storage facility operated by Freedom Industries on January 9, 2014. The chemical’s primary use is for washing coal, ironically, to reduce pollution during its combustion in power plants. While some elected officials went to great lengths to absolve the coal industry of any perceived responsibility, others chalked up the incident to the “heavy lifting” expected of West Virginians, a people supposedly blessed with opportunities to provide cheap energy for the rest of the nation. The idea that diminished water quality simply comes with the territory of being a coal state was a hard sell, but it’s easy to see why politicians might offer it up. After all, when you’ve been blessed with opportunity, it’s rude to complain. To some who’ve dealt with the coal industry’s direct impacts on water quality for decades, the hype surrounding the 2014 spill probably seemed a bit overblown. There are plenty of coalfield residents who never have and likely never will receive safe, drinkable water from their taps. This is an Appalachian phenomenon, but not uniquely so. This country has always found a way to pave highways toward environmental disaster, situating them among our most vulnerable populations. The same patterns found in McDowell County, West Virginia can be seen on Navajo lands, where abandoned uranium mines led to heavily-polluted water sources, in southern California, where long-closed battery factories still tarnish water supplies in Latino communities, and in rust belt towns like Flint, Michigan, where largely African American communities suffer the ongoing effects of lead contamination in public drinking water systems. We shouldn’t, but we tend to forget these communities when they’re out of sight and, therefore, out of mind. But when an incident eliminated the water supply for hundreds-of-thousands in and around West Virginia’s largest city, when quality of life for state lawmakers was affected, its impacts became tough to ignore. In front of glaring lights, rolling cameras and the watchful eyes of national media, political leaders soon began to respond. Senator Joe Manchin went on national television to label the incident “a wake-up call,” promising strict new regulation to prevent similar disasters. He pledged to make West Virginia known as a safe haven for clean rivers, not as a place where water quality gets in the way of purported industrial progress. Both chambers of the state legislature responded to an outcry from residents and business owners, passing comprehensive above-ground storage tank regulation and new laws requiring public water utilities to complete source protection plans. They were steps in the right direction, but it all seemed too good to be true. Time went on, and the same question surfaced in my mind, again and again. “Would any of this matter in a few years?” I wanted to stay positive, but I had my doubts about what would happen when the cameras were turned off and the media left town. As we now know, lawmakers’ love affair with shiny, new water quality safeguards would be short-lived. Most of the regulation pertaining to above-ground storage facilities has been repealed, and further weakening of storage tank rules is expected in this year’s legislative session. Manchin’s water-friendly rhetoric has mostly dried to a trickle. He did introduce legislation to improve rural water infrastructure, but his press releases have routinely touted the weakening of the federal Clean Water Act and a number of administrative water quality standards. When the anniversary of the spill hit on January 9th, I decided I should revisit that question I asked myself four years ago, and capture some of what came to mind. I paid close attention to news of the anniversary, hoping to read something, anything, from elected leaders upholding their then-boisterous commitments to protect water, to do things differently, to heed the lessons of 2014. If the news I’d hoped for exists, I missed it. There was, in fact, mention of the water crisis in the press that week, but in the context of a $151 million class-action lawsuit close to being settled. It wasn’t exactly what I was looking for, but it was an appropriate reminder that the battle continues for leaders who stood up for those most affected and who don’t intend to sit down. Politicians who would inevitably backtrack from promises might have grabbed the biggest headlines in the wake of the spill, but the story of recovery is no longer about them. It’s about the diverse, organized community members who pulled together to refute the notion that clean water’s sacrifice should be accepted as a casualty of our “heavy lifting”. Their inspiring public response should teach us something about the way we all depend on rivers — how West Virginians are all river people. As I looked back on the anniversary of the spill, the Elk was heavy on my mind. 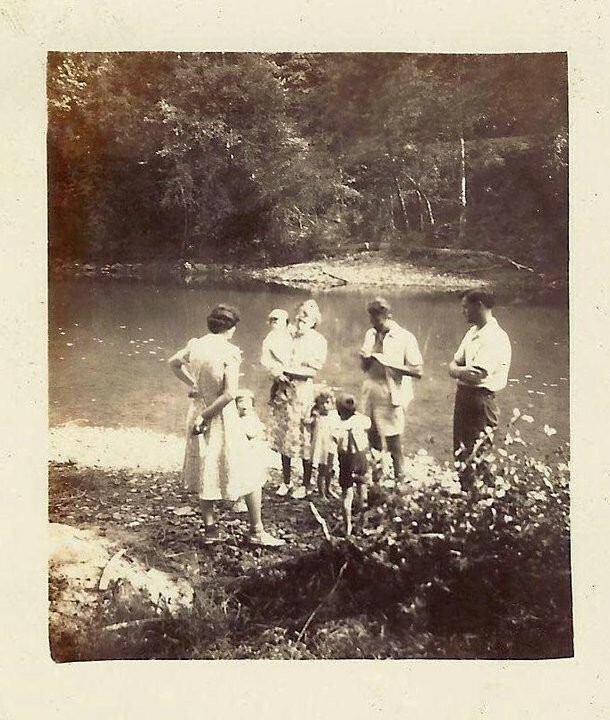 I spent time writing salt trout into upcoming menus, looking at old family photographs and mulling over the possibility of a tattoo. I talked to friends who’ve been on the front lines since the water crisis of 2014, and thought about the resilience of river people. I wondered if it will mean something when their stories are remembered. Contributing editor Mike Costello (@costellowv) is a chef, farmer and storyteller. He and his partner Amy Dawson operate Lost Creek Farm in Harrison County, West Virginia. Through his cooking and writing, Mike strives to tell important stories about a misrepresented and misunderstood region he’s always called home.